O2 Shepherds Bush Empire - LondonCapital Xtra Homegrown Live With Vimto. The Best Of The UK Scene. 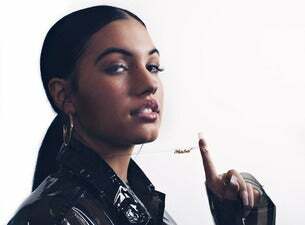 The child of gifted musicians, Swedish-British singer-songwriter Mabel (full name Mabel McVey) emerged on in 2015 with the release of her debut single Know Me Better. Known for her soulful, mellow RnB sounds, Mabel has released several singles since then, with 2018's Fine Line ft. Not3s being her latest track.